(Item included: 5 x Gourds(Only gourds, not include other accessories). 4) There will be slight variations in the gourds due Mother Natures' changes. 5) Only gourds, not include other accessories. Material: Natural gourd. Gourds and pumpkins round. Large selection. Getting top quality. Anzahl der Einheiten 24. Only for decoration ! very good service. Your Benefits. (artificially). 2pcs Dry Gourd. Size：about 50mm. Plastic / styrofoam / no pulp / without wire. Keep out of reach of children! Large selection. Getting top quality. very good service. Only for decoration ! Your Benefits. 6 x decorative pumpkins white gourds 10cm large, artificial, fruits! Large white gourds in orange/Green. 5 cm and a length of about 10 cm. The pumpkins are not for human consumption! Large selection. Mini 2cm, d.-red/yellow, artificially, fruits! 24 x decorative apples. Anzahl der Einheiten 24. very good service. Getting top quality. Large selection. Your Benefits. 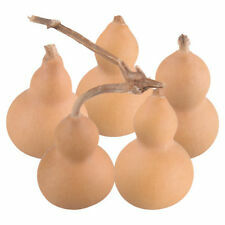 Decorative pumpkins white gourds, 12 PCs, artificial fruits / TOP! 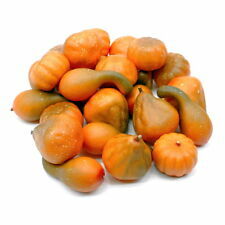 Decorative pumpkins white gourds, 12 PCs, artificial fruits! 3.5 cm and a length of about 8 cm. The pumpkins are not for human consumption! About 5cm / up approx. 5cm (without flowers). Plastic / styrofoam / no pulp / without wire. Keep out of reach of children! Large selection. Getting top quality. Anzahl der Einheiten 12. very good service. 2pcs 40mm-60mm Natural Random Dry Gourd Crafts Arts Collection new.